In the climate of social panics that characterized so much of the Victorian period, there was keen consciousness of the threats a variety of crimes posed to social stability. 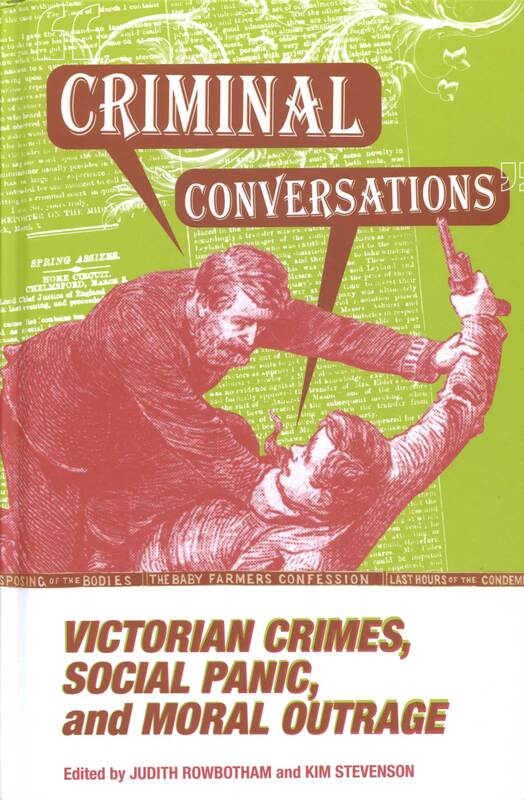 Conversations about crime, particularly via the media, were a major feature of Victorian Britain’s daily life, and it was through such conversations that people learned about the nature of crime and criminality, as well as about the individuals who committed crimes or were merely guilty of socially offensive conduct or “bad” behavior. The essays in this book set out to explore the ways in which Victorians used newspapers to identify the causes of bad behavior and its impacts, and the ways in which they tried to “distance” criminals and those guilty of “bad” behavior from the ordinary members of society, including identification of them as different according to race or sexual orientation. It also explores how threats from within “normal” society were depicted and the panic that issues like “baby-farming” caused. Victorian alarm was about crimes and bad behavior which they saw as new or unique to their period—but which were not new then and which, in slightly different dress, are still causing panic today. What is striking about the essays in this collection are the ways they echo contemporary concerns about crime and bad behavior, including panics about “new” types of crime. This has implications for modern understandings of how society needs to understand crime, demonstrating that while there are changes over time, there are also important continuities. Judith Rowbotham is senior lecturer in history, Nottingham Trent University. Kim Stevenson is senior lecturer in law at the University of Plymouth. Rowbotham and Stevenson are founders and directors of SOLON: Promoting Interdisciplinary Studies in Bad Behavior and Crime.